About six months before the ski season started in Europe we started planning our next expedition, backpacking in the Alps! 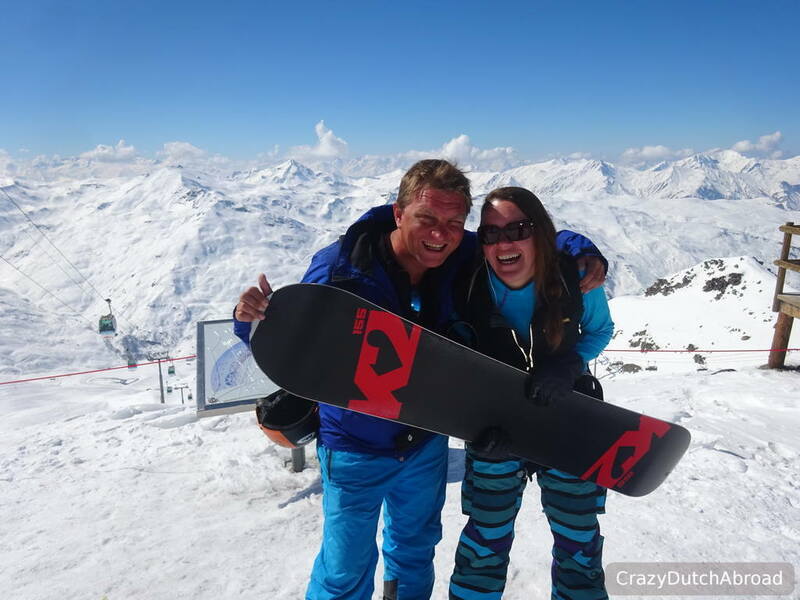 We love winter sport and we have been skiing and snowboarding quite a few times so we thought it would be really awesome to explore and compare different ski areas of the Alps in one season. After one year of traveling in Asia we also wanted to see our friends and family again, this expedition was the perfect opportunity to do so. Since Western Europe is quite expensive compared to Asia one month would be enough to drain our budget and still have quality time with our relatives. Luckily a lot of our friends love winter sport as well and many ski trips were already planned. The first ski area would be Zell am See & Kaprun in the Salzburg province of Austria. For many years we have been skiing and snowboarding in this area. It offers slopes for every level, great apres-ski and some friends are working as ski & snowboard instructors here. This week was scheduled first in our expedition. The second scheduled week was Val Gardena in the Dolomites of Italy. The highlight here is the famous Sella Ronda, 40 km of skiing. We have done it before and it is awesome. Ortisei was the Italian town we stayed last year and we just loved the place. Direct ski access to different mountains and many fine restaurants & wine bars made this a lovely town to stay. After Austria and Italy we wanted to see the winter sport vibe of another county as well. Since winter sport is not cheap, and connecting three ski holidays the worst, we wanted something affordable with good skiing conditions. France was our best shot since we wanted to stay in the Alps. Switzerland would have been more expensive and Germany & Slovenia have less skiing conditions in general. We decided to go for Val Thorens, part of Les 3 Vallees (the 3 valleys). Zell am See and Kaprun in Austria, Val Gardena (Ortisei) in Italy and Les 3 Vallees (Val Thorens) in France were scheduled in our expedition. Three ski holidays in the Alps, amazing, but what are the differences? What to expect? If you are able to ski or snowboard a little bit it is nice to see the whole area and make a half- or full-day tour. Especially if you like to go fast it is great that some ski areas are connected to make challenging day trips. The ski season is about the same all over the Alps I guess, but the ski areas are at different heights - and the higher the more change of snow. 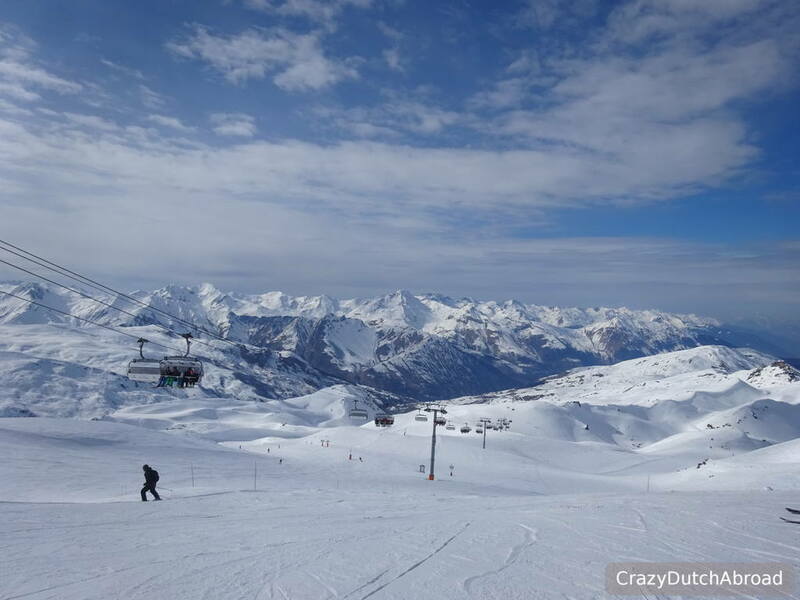 Les 3 Vallees has 600 km of slopes, the biggest ski area in Europe and one of the biggest in the world. Les 3 Vallees: Val Thorens town already lays at 2300 m - the highest ski village in Europe. The slopes are almost all above 2000 m.
To compare, I have been in a few apres-ski towns where 'the party' starts after dark when everybody has showered and changed clothes, no ski outfit and boards around. That is about the same as going to a club on Saturday night, not apres-ski. The music should be bad, the same 'Schlager' sing-a-longs for decades, and people should be jumping around wearing their heavy ski boots while beer is being spilled with enthusiasm. Zell am See offers those typical apres-ski parties on the slopes that finish after dark with loud music, big beers and shots (schnapps). In town there are many bars and restaurants for every budget, you can easily go in your ski outfit. Ortisei / Val Gardena: There are many Alpine huts and mountains restaurants on the slopes and in town. There is not a lot of party going on, it is more about mid-range to high-end dining and upscale wine bars - most people get changed beforehand. 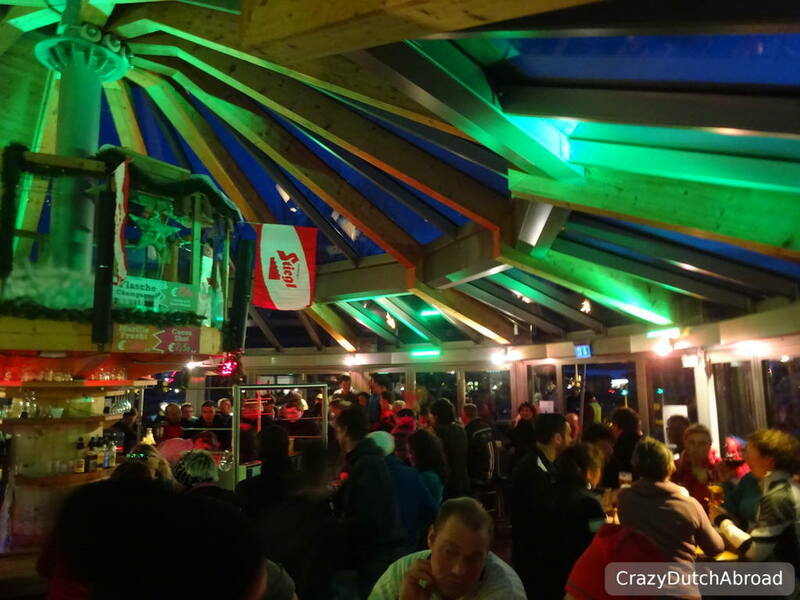 Val Thorens has two huge clubbing-style apres-ski bars La Folie Douce and 360 Bar on the slopes that close at 5 PM. After dark, not before 9 PM, it continues in town in a clubbing party scene (change before you go). We had no own transportation to go from one ski area to the other since I sold my car in The Netherlands. Renting a car and taking it to different countries was not affordable and horrible to organize. Renting a car in every country was not really interesting either because we booked apartments close to the slopes so the car would not be used during week. Public transport was our best bet, the big planning puzzle begun. We always travel with two backpacks of 15 kg and two small backpacks with electronics as hand luggage. For winter sport we picked-up one extra bag of 20 kg worth of ski outfits and ski shoes in The Netherlands. The skis, snowboard & boots were rented three times. 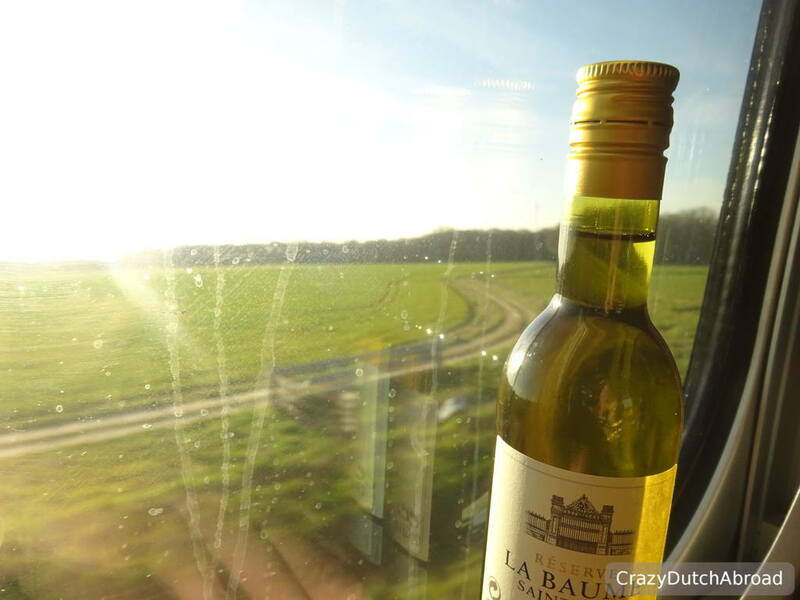 We flew from Amsterdam to Vienna for a city trip before we continued to Zell am See by train. Especially the view over the lake when arriving in Zell am See was impressive! 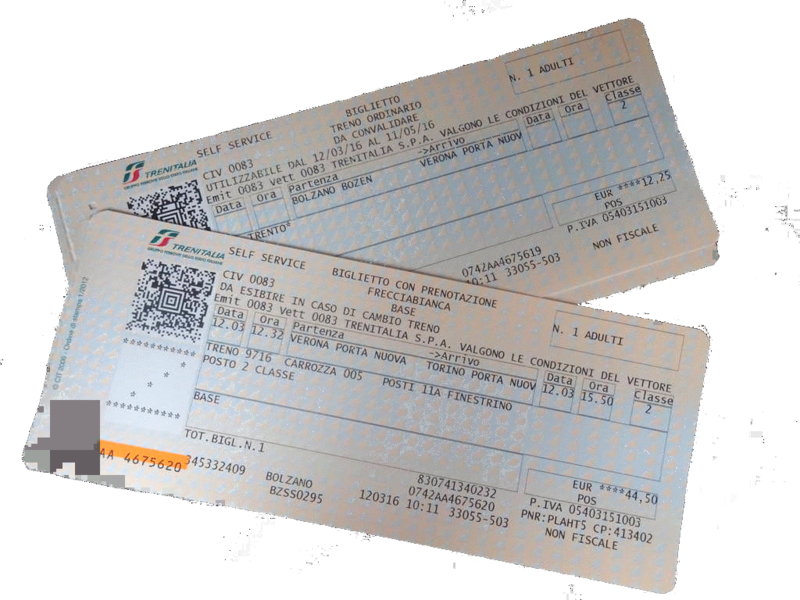 After the week in Zell am See we took different trains to cross the border to Italy and move to the Dolomites. In between Ortisei and Val Thorens we planned a week to work and for some sightseeing. From Ortisei we first moved to Turin for a few days. After that we crossed the border from Italy to France. In Aix les Bains we got off to work and explore this town as well. From here we got picked-up by friends to drive to Val Thorens. After this last week of snowboarding they dropped us off in Chambery so we could take the train to Paris. From Paris we flew over Amsterdam to Bali, Indonesia. Stay tuned for more information about city trips in Europe that are easily combined with winter sport at these areas!! !